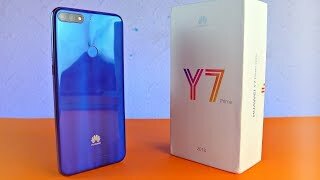 The Huawei Y7 2018 is a budget phone from Huawei that offers a nice combination of an affordable price tag and good specs. 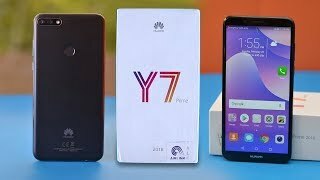 This is an updated version of their popular Huawei Y7 which offered the same combination and was quite popular among all the budget phones. 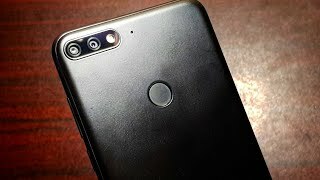 To learn more about this phone and the Huawei Y7 2018 Dubai price, continue reading. Considering the price of this phone, the Huawei Y7 2018 is quite a good-looking phone with a decent amount of screen-to-body ratio. 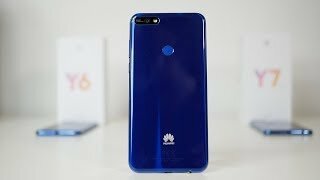 For those of you who are familiar with the design of the original Huawei Y7 or Huawei Y7 Prime, it’s a big change and looks surprisingly premium. Right after the Huawei Y7 2018 release date UAE, it can be found in three attractive colors: gold, black and blue. The Blue Mirror color gives the phone a surprisingly luxurious look although it also means the back side will be a fingerprint magnet. It’s HD+ resolution makes the display look even better and users get a bigger display in a comparatively smaller body. There is no home button in the front side so the fingerprint sensor can be found on the back of the phone. Users will find three separate card slots which is also a noteworthy feature of this phone. From what we have seen in all the promotional campaigns, Huawei is trying to push this phone to young people and focusing more on it’s front camera rather than its rear camera. It’s not necessarily a bad thing as the 8-megapixel camera definitely offers good results for a phone in this price range and comes with features like selfie toning flash, smart auto-adjustments and studio-quality lighting effect. Users also get face unlock feature and Animoji like stickers using Huawei AR lens feature. The rear camera of this phone is not bad either as it’s a 13-megapixel one. 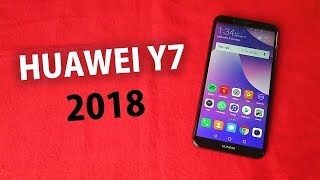 As the phone is not available everywhere yet, we will have to wait for the Huawei Y7 2018 release date UAE to find out more about it’s camera. For now, there is the Asus Zenfone 3 and Xiaomi Redmi Note 5 you can check out. As mentioned earlier, the Huawei Y7 2018 is a budget phone and the processor won’t indicate otherwise. It’s a Qualcomm Snapdragon 430 MSM8937 processor paired with 2GB of RAM. It will include only 16GB built-in storage which is surprising for a recently released phone. Other notable features include: microUSB port, GPS, fingerprint sensor, EMUI 8.0 and Android 8.0 operating system. 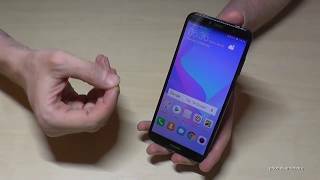 If you are in the market for a phone with good battery, the Xiaomi Mi Max 2 and Asus Zenfone Max 2016 are two phones worth checking out. Compared to the Huawei Y7 2018 Dubai price, these phones are in the same price range. 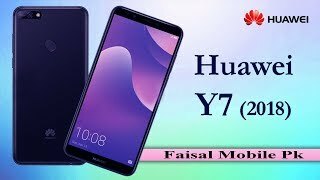 The Huawei Y7 2018 will be available for about AED 700 . It’s available in some places so the Huawei Y7 2018 release date UAE can be expected soon.